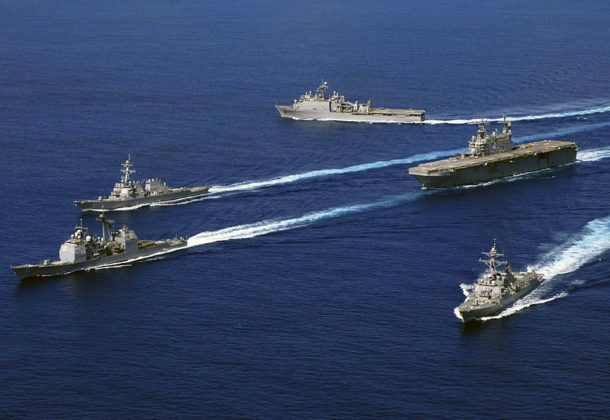 Neither Congress nor the Pentagon have a path to a 355-ship Navy, despite President Donald Trump’s campaign promises, with Congress stalled, DoD seems more likely to eat another round of sequester cuts than cut steel for a bunch of extra ships, reports Defense News. Weighing in on the timing of infrastructure renovations at Barksdale AFB, Louisiana, where nuclear bomber crews eat and sleep during a 24-hour alert status, versus the Air Force’s denial that such investment means a return to 24-hour alert status, Aviation Week describes what that heightened nuclear bomber alert status would mean for Barksdale. FCW reports that critical US infrastructure systems and government networks suffer from persistent and targeted cyber attacks, according to analysis out of Homeland Security and the FBI. The ongoing “multi-stage intrusion campaign” targets “low security and small networks to … access … high value asset … within the energy sector,” reads the report from the US Computer Emergency Readiness Team. The UK Royal Air Force is recruiting cyber security experts to check its manned and unmanned aircraft for weaknesses, anticipating hacking attacks on planes will play an increasing role in the future battles, reports The Telegraph. US Attorney General Jeff Sessions tells a Senate Judiciary Committee he is unaware of any “specific legislative review at this point” regarding potential Russian cyber interference in future elections, drawing the ire of Sen. Sheldon Whitehouse (D-RI), reports FCW. “The issue is there are things that need to be fixed legislatively on cybersecurity and at the moment, I can’t find a point of entry into this administration or anyone who is working on cybersecurity legislation or is appointed to or delegated to,” Whitehouse said. FCW reports White House officials no longer have text or social media messaging apps on their official phones because of records management headaches, according to a letter from a key House oversight official. Thirty-six sailors from the USS Fitzgerald receive Navy and Marine Corps Commendation Medal for their efforts on June 17, 2017, when the destroyer collided with a merchant vessel off Japan, reports Navy Times. The medals were awarded for the crew’s damage-control efforts after the ship was struck and rapidly flooded, a disaster in which seven sailors drowned. No force changes are planned for Niger, Joint Chiefs Chair Gen. Joe Dunford said in the wake of four US service member deaths and two members injured in that African country, reports Defense News. There are about 800 US service members on the ground in Niger. They are among about 6,000 forces in US African Command. AFRICOM is historically underfunded, currently meeting between 20 percent and 30 percent of its ISR (Intelligence, Surveillance, Reconnaissance) requirements. On Sept. 11, 1970, then-Sgt. Gary “Mike” Rose was the only medic among 136 men dropped into Laos to create a diversion for the North Vietnamese Army and landing in a four-day battle. Rose treated more than 60 injured men, saving the lives of all but three, while wounded himself. This week, nearly five decades later, Rose was awarded the Medal of Honor by President Trump, reports Military Times. The active, guard, and reserve Air Force is about 1,500 pilots short, about 1,300 of those vacancies are for fighter pilots, prompting a more attractive pilot-recall executive order that seeks retires to return as staff, instructors, and some potentially gaining flying status again, reports Air Force Times. Despite the desire to recruit 1,000, fewer than 200 retired pilots are expected to return to active duty. Outside conservative groups enter the fight over VA health care reforms, telling House leaders to rein in spending and shift more resources to private-sector medical options, reports Military Times. The coalition led by Concerned Veterans for America includes Americans for Prosperity, Heritage Action for America, National Taxpayers Union, Tea Party Nation, and 11 other groups with ties to Republican Party donors and small-government initiatives. Alpha-Omega Change Engineering Inc., Williamsburg, Virginia, has been awarded an $8,542,484 firm-fixed-price contract modification (P00012) for cybersecurity requirements for the exercise of options for the aircrew training and rehearsal support contract. Work will be performed at Kirtland Air Force Base, New Mexico; Davis-Monthan Air Force Base, Arizona; Joint Base Andrews, Maryland; and Moody Air Force Base, Georgia, and work is expected to be complete by Sept. 30, 2024. No funds are being obligated at time of award. 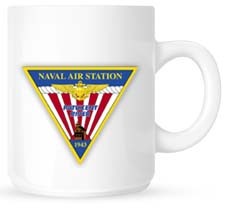 Wright-Patterson Air Force Base, Ohio, is the contracting activity (FA8621-16-C-6331).